This post appears courtesy of Cision. The full study can be found here. Looking forward, Cision compiled optimistic media trends projected to take off in 2017. These included: mobile compatibility, video and image-based content, multimedia journalists, big data, influencer marketing and native advertising among others. Cision conducted its 2017 State of the Media Survey during a three-week period between January and February 2017. Surveys were emailed to members of Cision Media Database, who are vetted by the company’s media research team to verify their positions as media professionals, influencers and bloggers. This year’s survey collected more than 1,550 responses from journalists, editors, influencers and producers. Of those, 200 work in Canada and 1,350 work in the United States. Of these respondents 960 are traditional media professionals, such as reporters, editors, producers, radio hosts and broadcasters. 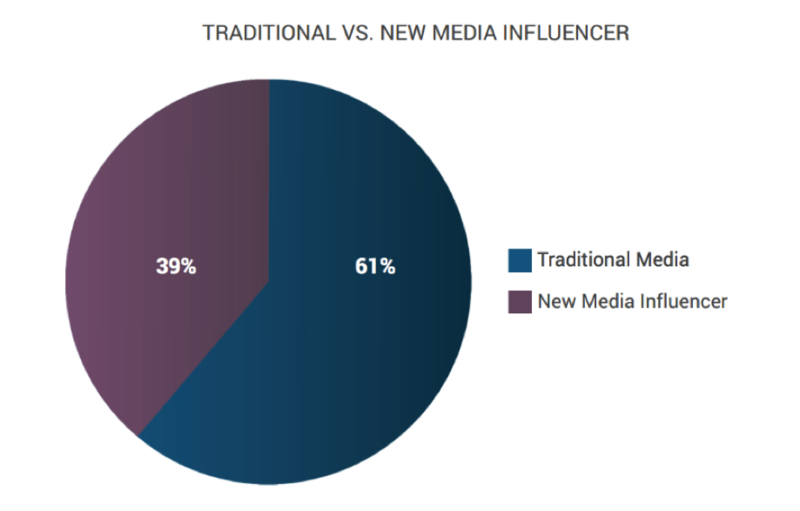 Of the non-traditional media professionals, 340 identified as Internet video and social media publishers. Cision is a leading media communication technology and analytics company that enables marketers and communicators to effectively manage their earned media programs in coordination with paid and owned channels to drive business impact. As the creator of the Cision Communications Cloud™, the first-of-its-kind earned media cloud-based platform, Cision has combined cutting-edge data, analytics, technology and services into a unified communication ecosystem that brands can use to build consistent, meaningful and enduring relationships with influencers and buyers in order to amplify their marketplace influence.